It is with great pleasure that we announce that Richard Arnott has joined Smoke Control Solutions and S J Fry Window Controls as Commercial Director. In this role, Richard is responsible for leading the day-to-day operations and developing the organisations’ sales strategies to best position them for emerging opportunities in the industry. 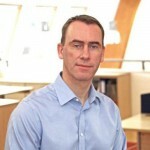 Richard has joined us from WindowMaster where he was UK & IE Sales Director. He had overall responsibility for all aspects of sales, marketing, project management and service provision in the UK and Ireland. He brings extensive experience in developing and leading a team from start-up to successful business with a multi-million pound turnover, which he maintained during the tough economic climate within the construction industry. “I am pleased to have Richard in this new role and confident our business units will greatly benefit from his wealth of experience in our industry and strong track record,” said Steve Fry, Managing Director. “I’m excited to join Smoke Control Solutions & S J Fry Window Controls, as they are well respected and successful companies within their specialist fields. I have worked with the teams here for a number of years and it is great to be joining them, as they have such great market and technical knowledge, as well as a clear focus on customer service,” said Richard Arnott.